You are not logged in. 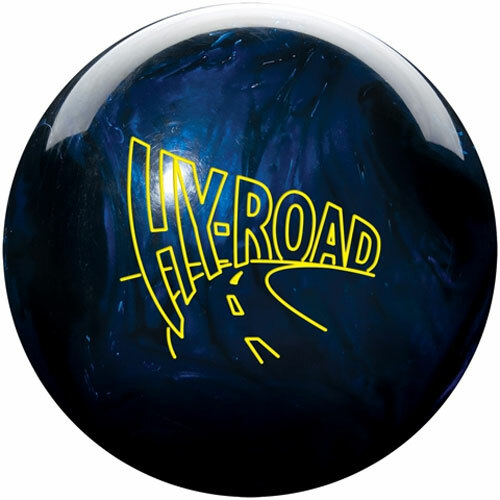 [Log In] BowlingFans.com Home » Forums » Coaching And Equipment » The Pro Shop » No Thumb, Drilling options? #132967 - 08/08/10 05:52 PM No Thumb, Drilling options? This may be an obvious question but i thought it might be worth asking. If Bob is a 2 handed bowler who doesn't use his thumb and doesn't have a thumb hole in his bowling ball at all, how does the drilling work out? is it the same spot as it would normally be or is it near the cg? Getting really tricky.. say for instance you had a bowling ball with only 2 round finger grips. The pin was placed below the fingers, could you flip the bowling ball around to make them above the fingers? I don't really know too much about drilling and compliance with usbc but just thought it would be worth asking. Check Articles I-3 through I-5 It Illustrates the answers you are looking for. 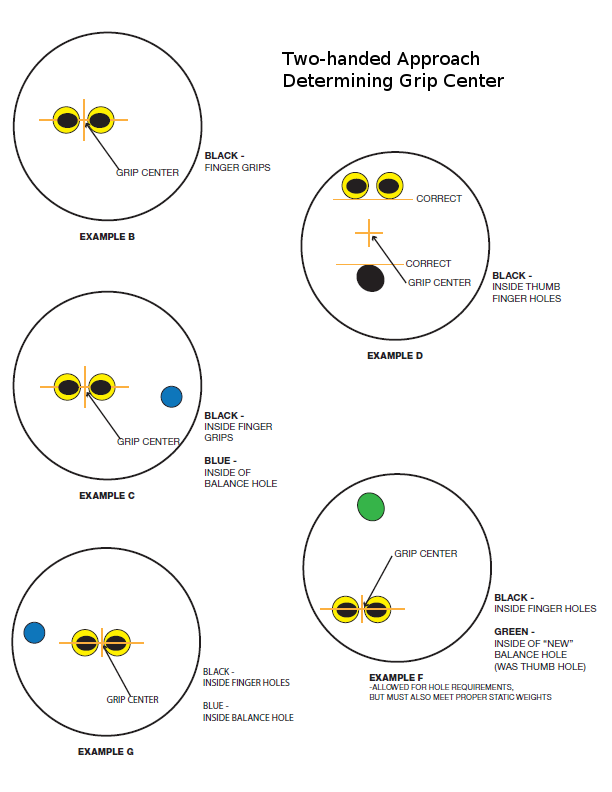 Drilling without a thumb changes the requirements for top, side, thumb weights, this makes it very difficult to drill a ball with no thumb and still have it compliant to the rules. I believe youre then only allowed a ounce of each kind of weight. Yes you can flip the ball over and throw it upside down, this will change your reaction completely and with it not changing how the ball meets the requirements is completely legal if the requirements are met. Wow, page I-5 is confusing. In some examples the grip centre is between the unused thumb hole and the fingers per usual, and in other examples it's in the middle of the finger holes. Can someone explain that? I'm not totally clear about reversing the grip. I'm going to write to the USBC and ask since I'll have my first store-bought reactive two-handing ball soon. Hmm...I wonder what the options would be with only finger holes and the CG and pin very close together. Osku uses a 4" span with a thumb hole in line. (That might be for weight or dynamic reasons, but it's also good for aligning the ball on the palm.) Pin above the middle of the fingers. CG near the middle of the span and angled out to the right, and he tends to use a balance hole. Belmo offsets the thumb hole to the right to avoid having the ball flare over it. He normally doesn't use a balance hole from what I've seen. Same pin and CG as Osku. I use the same pin above fingers, CG to the right layout since track flare seems to work against me. That layout goes longer down the lane with a small amount of flare. From what I gather, adding a balance hole can increase or decrease the backend reaction, so that might be an option for the future. Why not just use the thumb hole for balancing the ball, so put it where it normally would be and then he can set his hand on top of that spot like Belmo and Osku do. Yeah, I think Belmo's thumb hole is more like a balance hole. Still trying to process the info on page I-5. It seems that with only two finger holes, the ball can be oriented in either direction as long as the static weight is offset no more than one ounce in any direction. (Things will really be crazy if the static weight rule goes away.) The middle of the grip is between the finger holes. So if you put the CG in between the fingers, the pin could go anywhere. Adding a third hole that is NOT covered by the hand could work as a balance hole. It seems that if the hole can be used as a thumb hole, it is considered such and the middle of the grip moves to the middle of the span. Darn...I ordered a ball with a 3 to 4-inch pin. Anyway, better to stick with layouts that are proven. I'll let people who can afford to experiment figure out more flexitlbe layouts for two-handers. I think it would work! Turning around the normal grip makes the thumb hole a balance hole, but most importantly, the grip centre shifts to the fingers. So it should be possible to meet static requirements still. Compare examples D and F. Attaching image.